CharterOak Acoustic Devices is a young US company, established 2002, set up by Michael Deming (producer : Lily's, Pernice Brothers, Mike Ireland...). CharterOak attended the AES 2005 and NAMM 2006. They develop high quality products and Professional Audio Equipment for the Recording Industry dedicated to musicians and sound engineers (with lifetime warranty). They show two new models SA538B and SA538: The SA538B is a condenser microphone that employs two large, ultra-thin, side terminated gold diaphragms and a vacuum tube head amplifier using a selected low noise tube, and output transformer. This microphone offers nine Polar Pattern : Cardioid, Omni, Figure-8, and intermediate stages selectable from power supply. The difference between SA538B and SA538 is the output transformer. At first sight, when you unpack them, you feel a serious and reliable impression. A solid and heavy suitcase (5 kg) with every component carefully fitted in : mic, power supply, shock mount, cables, locking flightcase. You also get several sensibility diagrams and datasheet and manual. The mic is quiet heavy. You need to connect it and to warm it up one hour before use (CharterOak manual). Then, you adjust gain in a good preamp. And you get a really good Tube sound with high precision in line. And no much closeness effect. Sounds not in line are clearly rejected ; that's a important choice requirement in home studio. Acoustic guitar sounds real good. Voices are very warm and present ; And a piano recorded with figure 8 polar pattern gives out high dynamics and harmonics. The various polar patterns allow large setting possibilities. 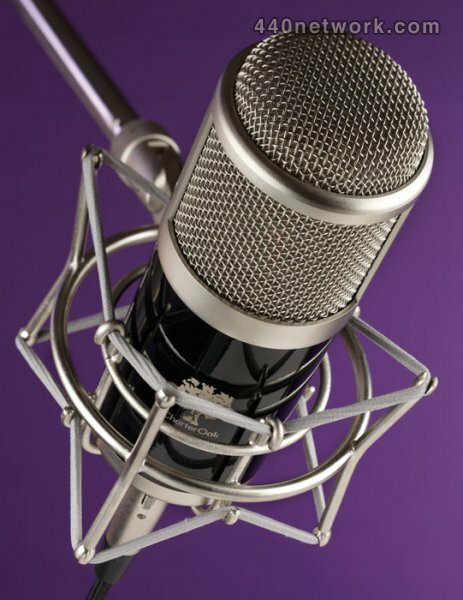 The difference between SA538B and SA538 seems to be very subtle : SA538B is a little bit more sharp and precise and SA538 express more generous… Both mics reveal high sound quality and reliable strength. They are quite serious competitors for top of the range microphones from the market. More information at: CharterOak Acoustic Devices .